If you already have a truck bed mat and are looking to extend the protection to the end of your tailgate, the LRV Protecta tailgate mat is for you. These high quality tailgate mats are ideal for protecting your tailgate from unnecessary scratches, scrapes and dents. They endure the brunt of any damage caused with unloading and unloading cargo. The LRV Protecta tailgate mats are made out of Nyracord®, a fiber-reinforced recycled rubber material, ensuring long-lasting durability and strength. Designed to withstand extreme temperatures, Protecta tailgate mats won't crack, rip or fade with time. A pebbled finish will help prevent any cargo from sliding off your tailgate if you have it down. Proteca bed mats & tailgate mats are environmentally friendly and made right here in North America. Since the tailgates of most trucks aren't designed to have a mat added, you might have to do a little drilling to ensure that your new tailgate mat doesn't come off and wipe out the windshield of that Prius behind you on the highway. Once you get your tailgate mat mounted it'll be worry-free for as long as you keep your truck around. Just like the truck bed mat, your LRV Protecta tailgate mat will come with a limited lifetime warranty. 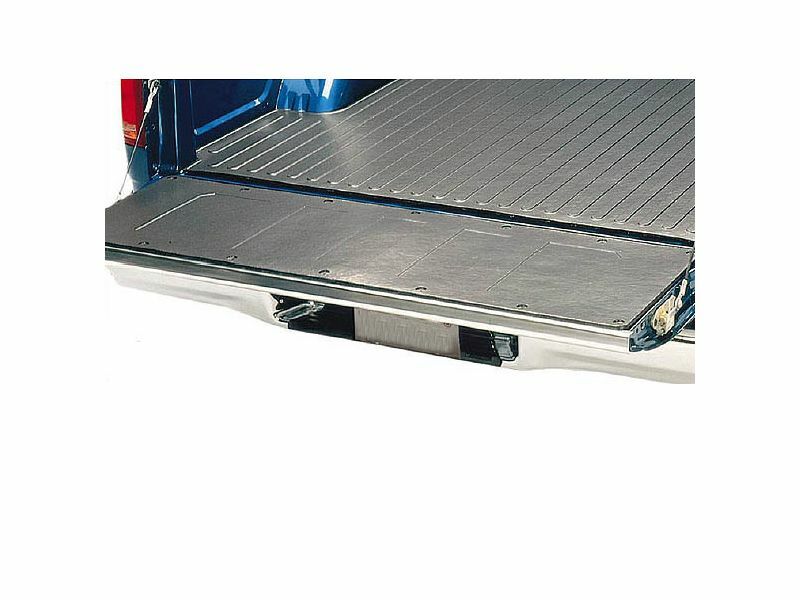 Complete your truck bed protection and get your tailgate mat coming today! Some drilling may be needed to properly install your new tailgate mat from Protecta. You may be able to use some of your factory holes but you should expect to add a few more. If you would like to get any additional information or if you have a question about the meaning of life, give us a call. We have someone here manning the phones 7 days a week.